Infographic: Why Replace F5 BIG-IP with NGINX Plus? 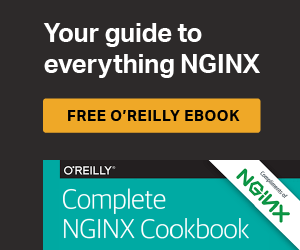 Home› Resources› Library› Why Replace F5 BIG-IP with NGINX Plus? Why Replace F5 BIG-IP with NGINX Plus? When F5 BIG-IP was released in 1996 it was a revolutionary product that gave companies a cost-effective way to scale out websites. But the IT industry has changed since then. F5 BIG-IP is no longer cost-effective and is slowing down companies looking to move with DevOps agility. In this infographic learn why F5 BIG-IP is no longer a viable option, and why NGINX Plus is the right choice for your company.